HRMS (Human Resource Management System) refers to systems and processes which integrates human resource management with information technology. In other words, it blends HR activities and transactions with information technology field. The programming of information process systems evolved into standardized routines and packages of enterprise resource with the emergence of Enterprise Resource Planning (ERP) software system. The work of Human Resource department is mainly administrative and is prevalent in all corporate houses. The HR function includes tracking existing employee information which contains personal histories, skills, achievements and pay. To scale down the physical workload of these administrative processes, our HRM system automates the processes, speeds up the operation in addition to handling large amount of data. We ensure that it is cost effective and saves lot of time for your company. It has come to be known as an intrinsic part of management, which is concerned with the human resources of an organization. HRMS helps in attaining maximum individual development, desirable working relationship between employees and employers. HRMS is concerned with getting better results with the collaboration of people. It contains manpower planning, recruitment, selection and placement, providing benefits etc. “Dashboard” is a module which displays alerts to the organization which are essential for it. It displays information like “Work Permit expiry list of employees”, “Passport Expiry list of employees” etc. "Administration" is an essential module which is responsible for maintaining the Role Actions for admin. It also serves as storing Employee Official Information, managing the resources of the entire application, Assigning leaves to the employee etc. "Masters" is a module in our HRMS which is a cluster of 18sub modules. This module is in some way “heart” of our HRM. It serves to define the data and helps to create data which will be used in all other modules. This ensures that there is no duplication or repetition of entries in other modules. Every screen or every module has got a code which is either auto generated or user defined. In this HRMS, code is user defined. “Employee Management” module is a database of all existing employees. You can find a record of the employee you can view employee history, his roles and Responsibilities, demographic details, work permit information, qualification and skills, etc. In addition to this you can add an employee profile and save it for any future reference. You can view employee sub org wise and branch wise. You can also view attendance of the employee or leave requests of the employees. “Time & Attendance” module is related to the presence of the employee in the organization. This module tracks employee movement, displays attendance etc. It helps in storing data pertaining to biometric information of employee, attendance and employee movement when the employee seeks permission to come late to organization or leave early from organization. “Leaves Management” is a module where one can view allotment of leaves, leave nature, leave application, cancellation of leave etc. The H.R can have a track ofemployee leaves and can decide whether it would amount to deduction of salary. The H.R also gets to know the strength of the employee and it helps the higher management to decide on leave approvals based on workload and the attrition rates. ”Vacation Management” is a module where employee vacation details can be viewed. In this module, employee can apply for vacation, H.R can update journey detailslike air ticket dates, air ticket amount etc. Before leaving for the journey, employee's vacation settlement is processed i.e. the paid leave amount of the vacation and the salary amount corresponding to the number of days in the calendar month he has worked for. In addition to this, visa details of the employee can also be entered and viewed later on. “Loans and Advances” module helps in tracking Loan details of the employee. Payroll Loans & Advance is a type of short-term unsecured loan for employees,allowing employers to release payroll funds in advance. Through this module employee can apply for loan, his loan request status can be viewed and if his loan request is approved, then the loan term and the recovery of amount through EMIs can be initiated and these details can be entered in the module. “Travel Management” is a module where details pertaining employee's travel for official purposes is entered and stored. Based on the designation, travel allowance of the employee is decided. Ticket booking for the travel is also done and the details of the same can beentered, viewed and saved in the module. “Transfer Management” is a module where one can track transfer of employee from one branch or sub org to the other. Whenever vacancy arises in a particular branch, and then if excess employees are present in a different branch, then the employee is transferred from that branch to the branch where there is a vacancy. The details of transfer can be tracked through this module. Transfer of an employee can also be initiated if it is his personal decision to relocate to a different branch or if he is promoted and the company takes a decision to transfer him. In a company, payroll is the sum of all financial records of salaries for an employee, wages, bonuses and deductions. Here, payroll refers to the amount paid to employees for services they provided during a certain period of time. In this module one can track the payroll details of the employee or the employee group based on attendance and productivity. The process of finding and hiring the best-qualified candidate (from within or outside of an organization) for a job opening, in a timely and cost effective manner is known as the recruitment. The recruitment process includes analyzing the requirements of a job, attracting employees to that job, screening and selecting applicants, hiring, and integrating the new employee to the organization. 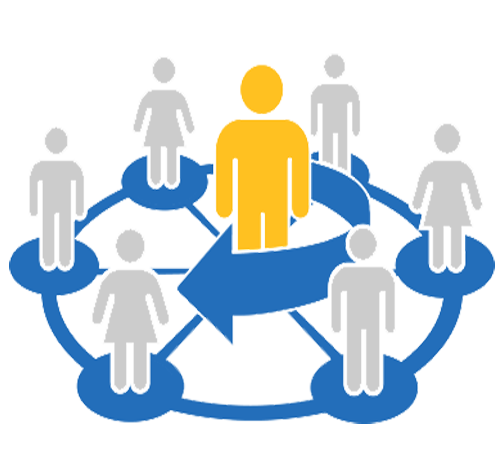 “Recruitment Management” module deals with all the hiring process of a new employee to the organization. “Performance Appraisal” is the systematic evaluation of the performance of employees and to understand the abilities of a person for further growth anddevelopment. Based on the performance, employees are considered for appraisal. Through this module, a list of employees due for appraisal is prepared and is considered for approval by the higher management. “Government Affairs” module helps in tracking and storing data pertaining to activities like the Work permit renewal, visa renewal, employee sponsorship transfer, medical and insurances etc. The company appoints a service vendor who collects employee documents froman arranger, submits at the related government department, and gets documents prepared and releases it to the organization for a service fee. All these activities can be stored and tracked in “Government Affairs” module. “Separation” is a module which deals with an employee's discontinuance of services to the organization. The employee might discontinue either because of his termination or contract expiry or resignation or due to layoffs. All these activities are tracked by the “Separation” module. “Disciplinary Actions” is a module which stores data pertaining to disciplinary action taken on employees. Disciplinary action is taken when the employee is not punctual in his work, comes late to the office, misbehaves with employees or is not regular in work. “Reports” module helps in generating reports pertaining to list of all employees of an organization, appraisal list, contract expiry employee details, passport expiry employees list etc. “Reports” module has got all the above mentioned modules through which you can view the reports pertaining to it. 18. Employee Self Service (ESS) for Employees.